Having retired in 2006 I was able to pursue a lifelong ambition of being an artist and in particular painting. 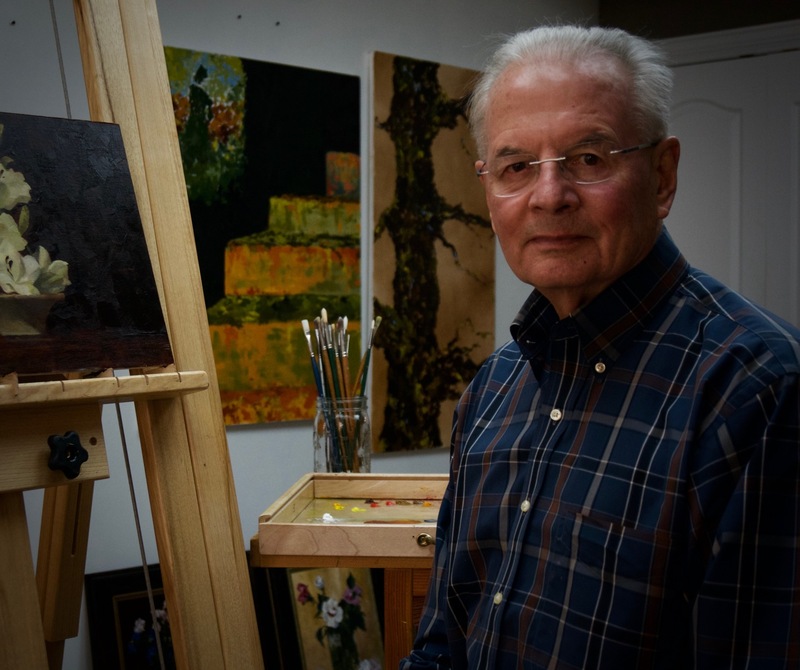 I have been fortunate to have the opportunity to study with a variety of Philadelphia artists including Paul Dusold, Frances Galante, Stephanie Lieberman, Stanley Bielen, Ryan Earl and Kassim Amoudi. In addition I have been able to develop my woodworking and photography skills to aid in this pursuit. Thus the entire process from making stretchers, priming canvas, painting and finally framing provides me with a sense of fulfillment. Currently both representational and abstraction have been my focus. Inspiration comes from places I have traveled, flower arrangements and even every day implements. For abstraction I have (as many artists) used nature and in particular trees with their many branching forms, variegated bark and even lichen growing in crevasses. I hope you enjoy looking through the various galleries.